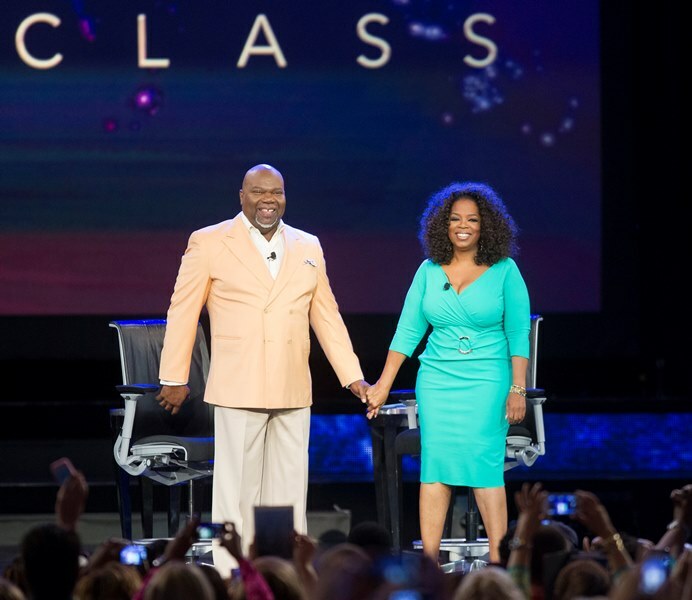 I recently caught up on a series on Oprah's "Life Class" recently featured on her OWN Network. Bishop T.D. Jakes lead the class in a serious discussion about fatherless children. 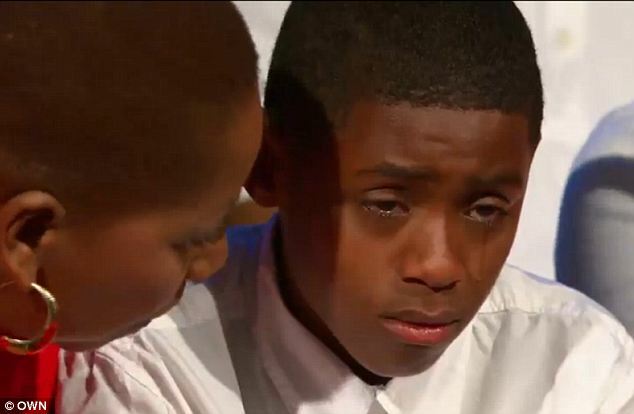 Oprah revealed a surprising statistic that 1 in 3 children in America are fatherless. It is because this very reason why I referred to this occurrence as an "epidemic" in the title of this post. 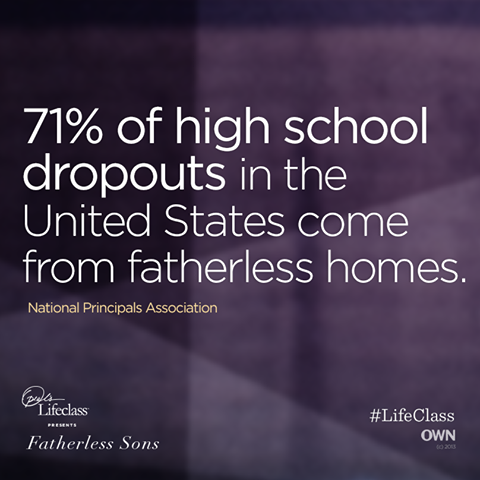 The urban community knows all too well the reality of growing up fatherless. I endured 6 years of my adolescence without my father present so I know what it feels like to not have your father in your life. Fortunately, my father came back and fought for me and our relationship and today I can say I am very happy with the relationship we currently have. Unfortunately, many others aren't so lucky. One of the most beautiful parts about the series is the understanding that it is never too late to develop a father-child relationship, no matter what you've been through. We only have one father in this life and often times, negative circumstances get in the way of us enjoying positive and fruitful relationships with our fathers. I've written before about fatherless children and the painful dynamics that this experience can create in one's life on this blog: Where's Daddy?. Bishop T.D. Jakes pinpointed several things that I think might help my @BornTooBlog readers in this situation. Jakes made sure to impress the importance of understanding that like the fatherless children, their fathers have more than likely experienced some kind of trauma or lack of in their lives concerning their own parents. Many times when you look at fathers who aren't present in their children's lives, if you dig deeper, you find a man that did not have a father or who's father was abusive or had a negative impact on them in some way. Jakes explained that realizing this as a child can help facilitate understanding among both parties and can actually lessen the guilt of the absentee father. He calls this "understanding the wounds of your father". "I think once we let go of our ideas, our fantasies of what things could have been like and embrace what they are like, it gives both the father and the son a feeling of being accepted for where I am." Jakes also emphasized that once you do gain the courage as an absentee father to reenter your child's life in an effort to rebuild that broken relationship, you must "court your child" by establishing a foundation for your love and respect to grow on. I hear too many times that fathers who weren't there in the beginning come back trying to discipline their children off the bat or never even address the issues that led to their absence prior to trying to reestablish a relationship. This can often create further resentment and stop the reconciliation efforts in their tracks. Although the entire experience can be frightening to a father that is trying to reconnect with his children, the children are often just as afraid of rejection as their absent fathers. So now we have common fears, emotions and quite possibly, a shared childhood experience that can facilitate growth and understanding. "Parenting is something that doesn't come with a textbook. You learn as you go. And I think sometimes we're so afraid that we're not going to do it right that we don't do it at all." I've written previously on how some mothers use their children as bargaining tools or as T.D. Jakes calls it, a "switch" to abuse the father with. Jakes further pointed out that when you use a "switch" to hit someone with, the switch (aka the child) gets broken and wore down in the process as well. I always told myself that if I had a child and me and the father were no longer together that I would never stop him from seeing our child because he was unable or unwilling to pay child support. I made this commitment to myself because it is very rare that I hear children complain about their relationships with their fathers due to lack of financial support. What I hear the most is usually a child reliving the pain of their parent(s) not being there as a support system when it comes to school, sporting events or momentous occasions in a child's life like graduation, the birth of a child, and so on. Jakes encouraged all fatherless children to "leave the door open" for their fathers should they gain the courage to come back into their child's life. Ultimately, it takes a lot of dedication, determination and communication in order to build/rebuild the trust and bond between a father that was once absent and the child they left behind. However, if we are only blessed with one mother and one father, what could it hurt to try and reconcile and build a relationship when given the ability and chance? Children must learn to forgive and open themselves up to allow the process to begin and fathers must take the first step and keeping making steps towards resolution. Mothers must be a positive support system that helps facilitate the process and should never deter their children from reconnecting with their fathers unless they are a threat to their well being. Are you a fatherless child? 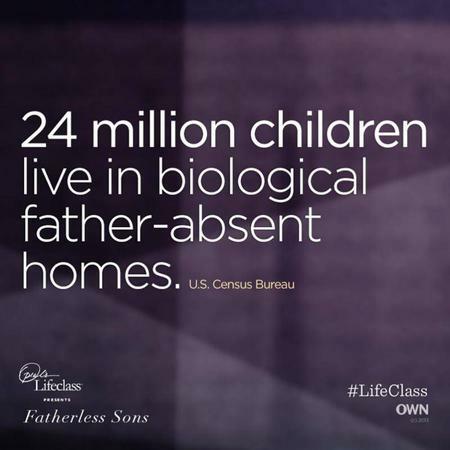 Is the father of your child absent in your child's life? Are you a father who has attempted to reconnect with your child? What has been the most difficult issue to overcome? 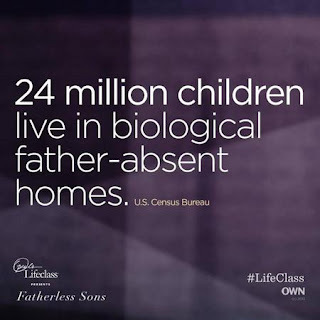 Are you a fatherless child success story? What helped you and your father or you and your child reconnect against all odds?